Selecting the right windows for your home can dramatically enhance both the interior and exterior look of your property. It can be hard to decide which window to choose sometimes, as there are so many options that come with so many different benefits. 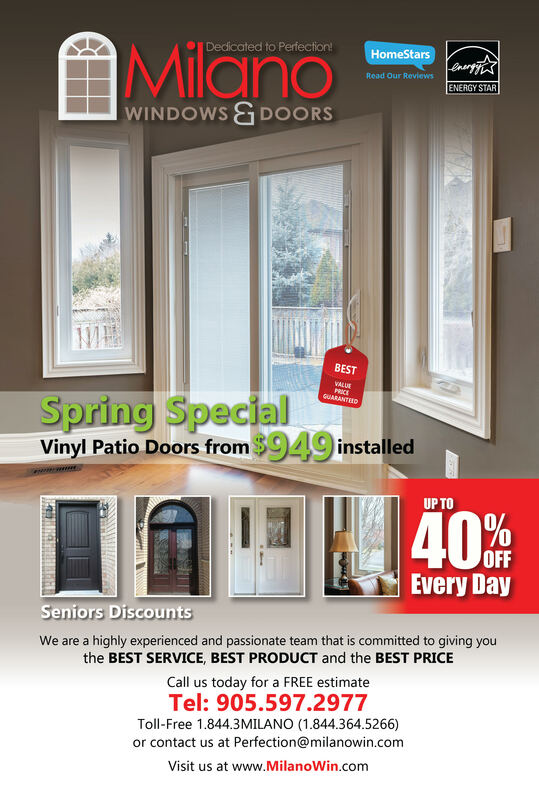 Our professional team at Milano Windows and Doors Inc. would be happy to consult with you and help you choose the best windows for your home. The Double Hung window features a window frame and two sashes that are can both move up or down, allowing you to control your room’s ventilation. The traditional appearance and wide range of styles and trims to choose from make double hung windows extremely versatile, and therefore one of the most popular choices for replacement windows in Ontario today. In cold seasons, quadruple weatherstripping prevents heat from escaping your home, and vice-versa, it will keep cold inside on hot summer days. Multi-Chamber construction adds additional thermal protection, offering more energy efficiency to your home. You can clean your windows from the inside. Simply raise or lower both sashes and tilt them in, spray with a cleaner and wipe dry (this type of windows is perfect for dusty areas like basements). You have the option to install an air conditioner into it. Unlimited possibilities in term of colours and trim. Call a Pro – Milano Windows and Doors Inc.
Do you want to make your home more energy-efficient and save on electricity bills? Maybe you are getting your house ready for sale and want to boost its value? Milano Windows and Doors Inc. are here to help. With many years of experience and hundreds of satisfied clients across Ontario, we offer quick, quality and affordable service. Give us a call today to learn more about our products and services.